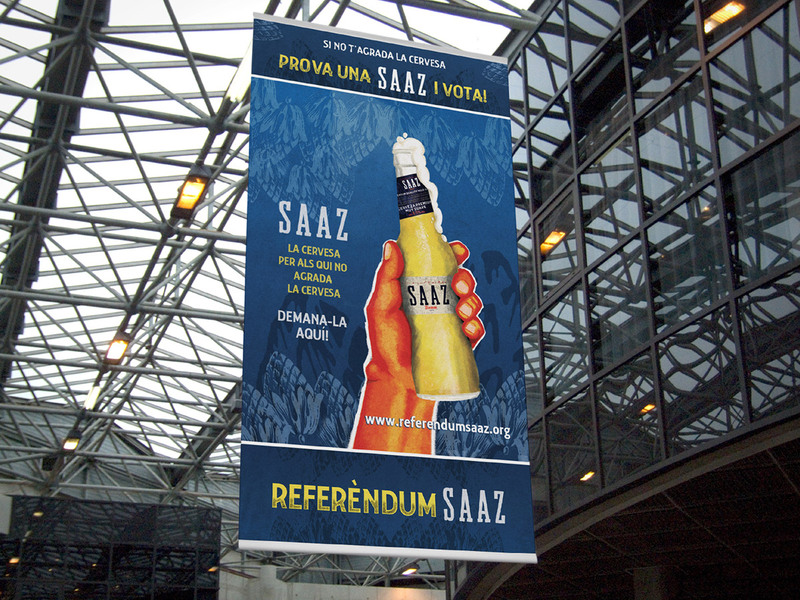 A new low alcohol beer wanted to break into the local market of Barcelona. 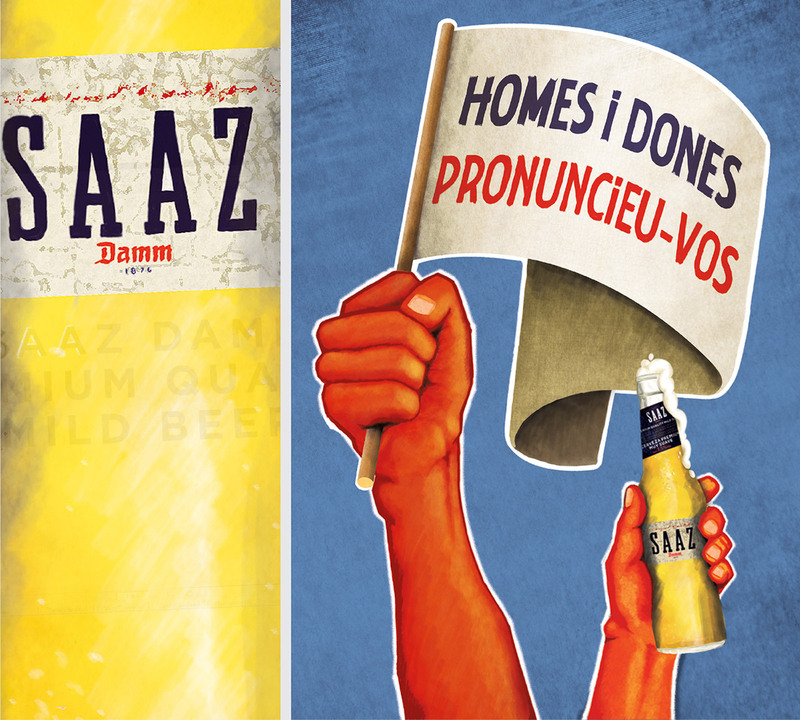 “SAAZ, the beer for those who don’t like beer”. 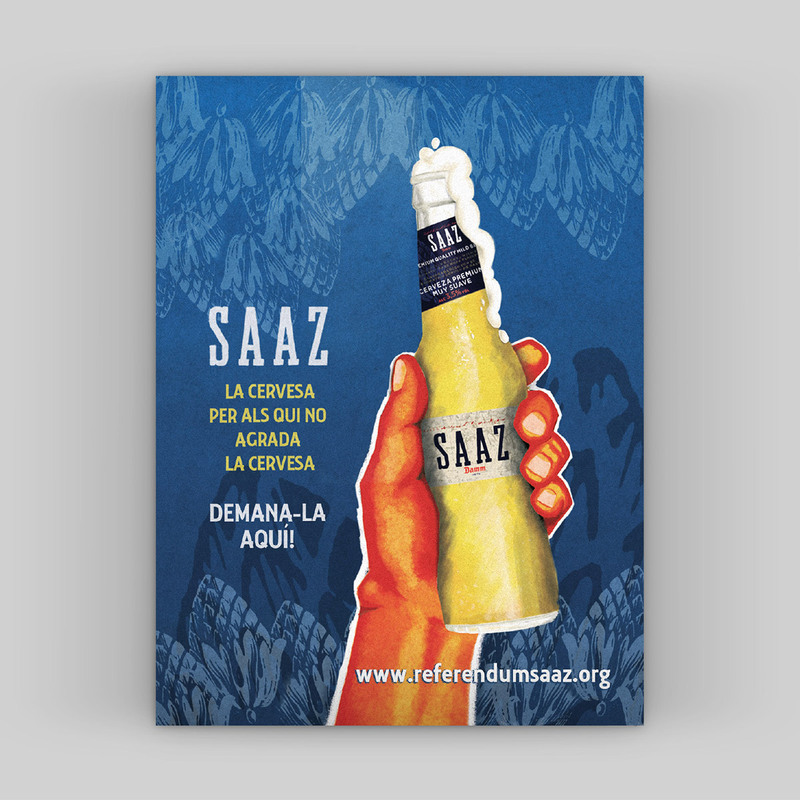 But before this we decided to call a referendum where the consumers themselves were who would decided by voting if this beer deserved to finally exist. 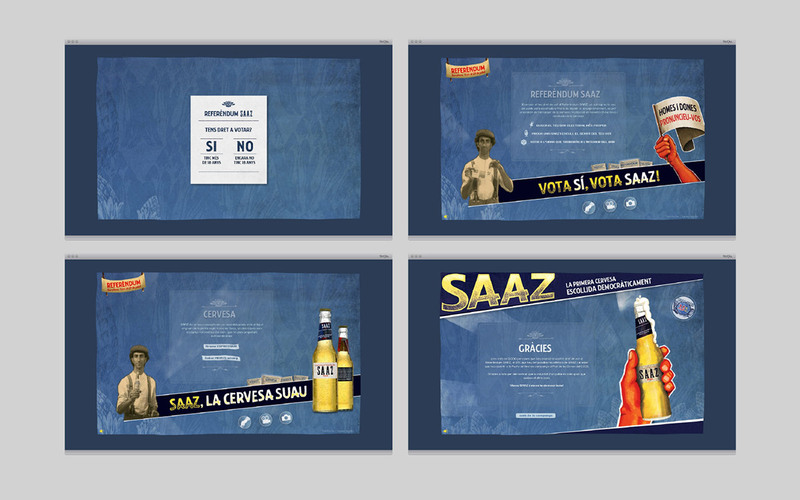 To do this we created an electoral campaign with all the corresponding vote materials, his election headquarters (bars) and even a charismatic speaker (Karl). 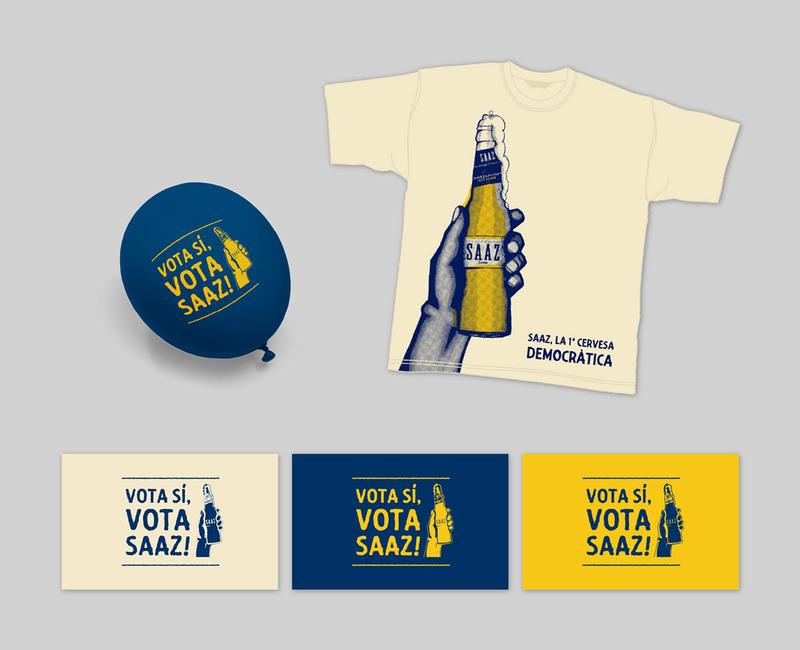 In addition, the campaign was supported by a website, a channel on youtube and a grand finale event where it would be released the final results of the votation. 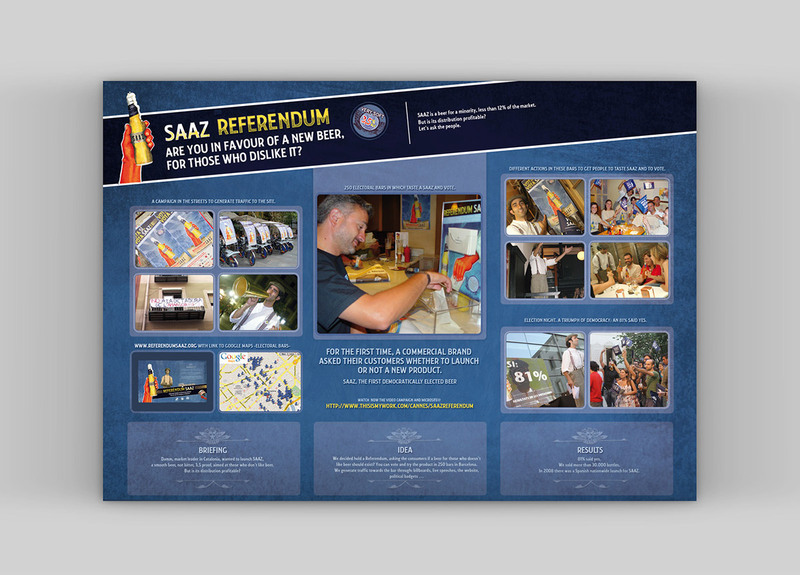 It was the centerpiece of the campaign, the part where the whole concept was supported and in which all other parts are declining. 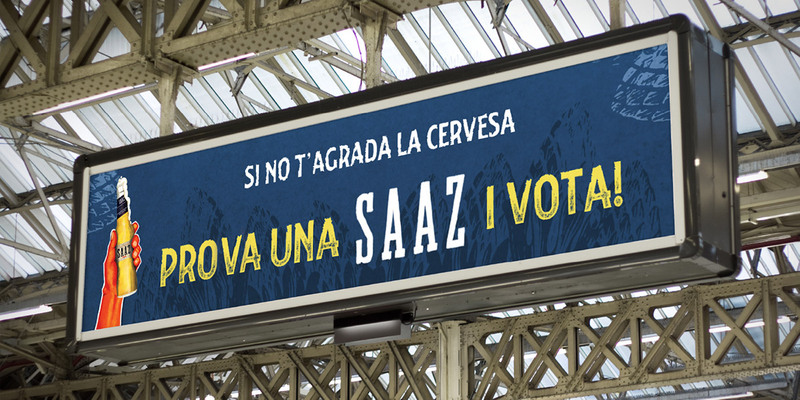 (translation: "For a beer for those who do not like beer"). 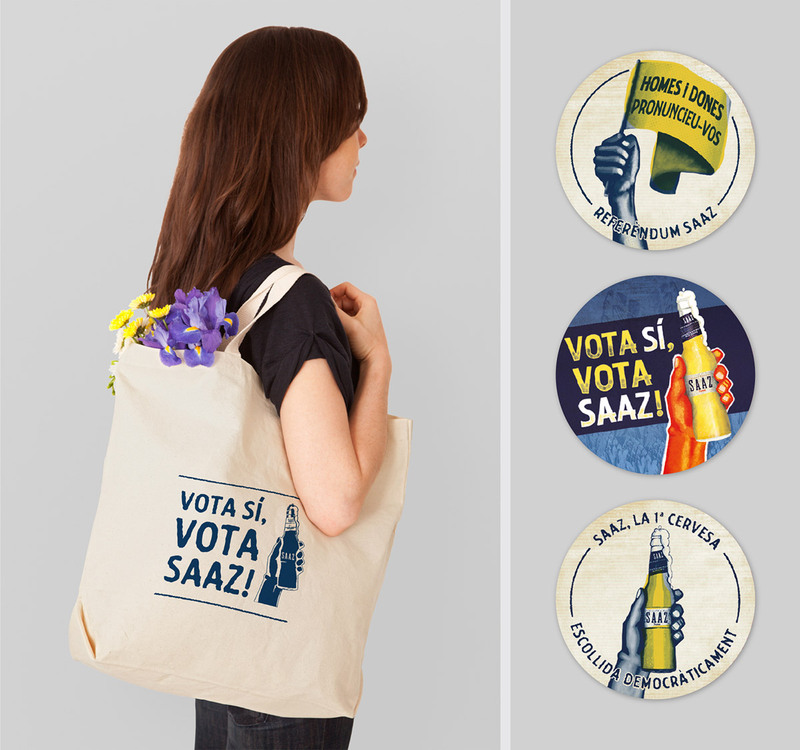 In about 300 bars (election headquarters) special urns were placed in order to vote. 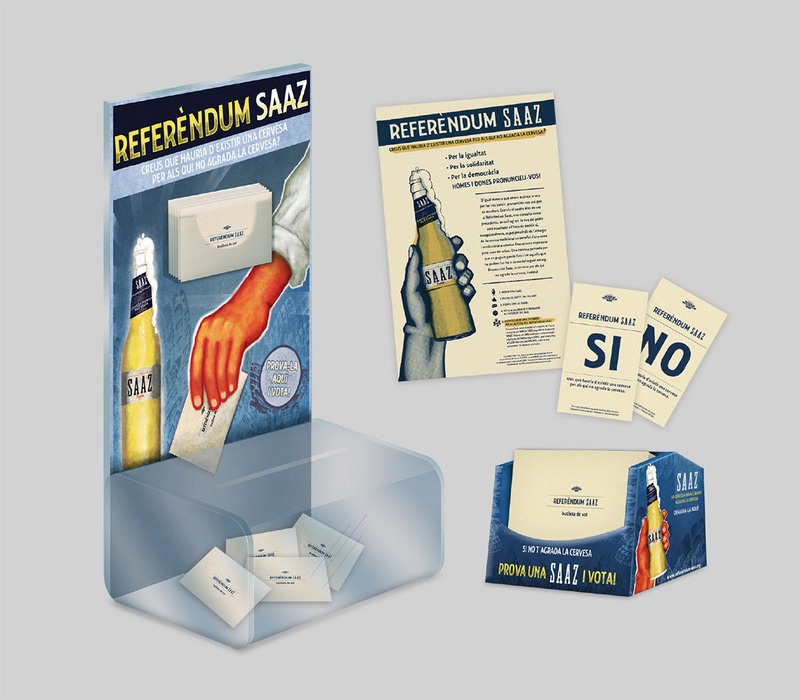 The so-called "votation kit" (envelope, ballots with the YES and the NO, and little explanation pamphlet) could be found in the napkins also created for this occasion and that served as stewards of this kit. 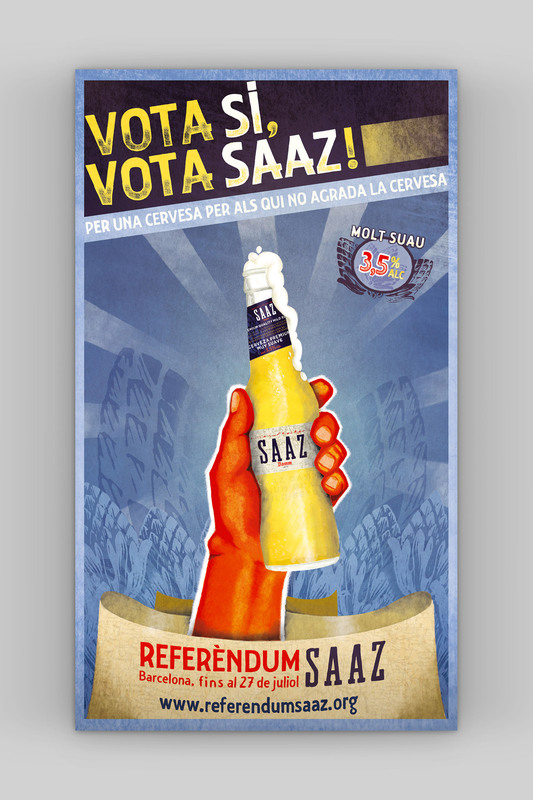 During the campaign, the Saaz spokesman (called Karl in honour of the Damm founder), walked along the streets of Barcelona to promote voting among citizens. 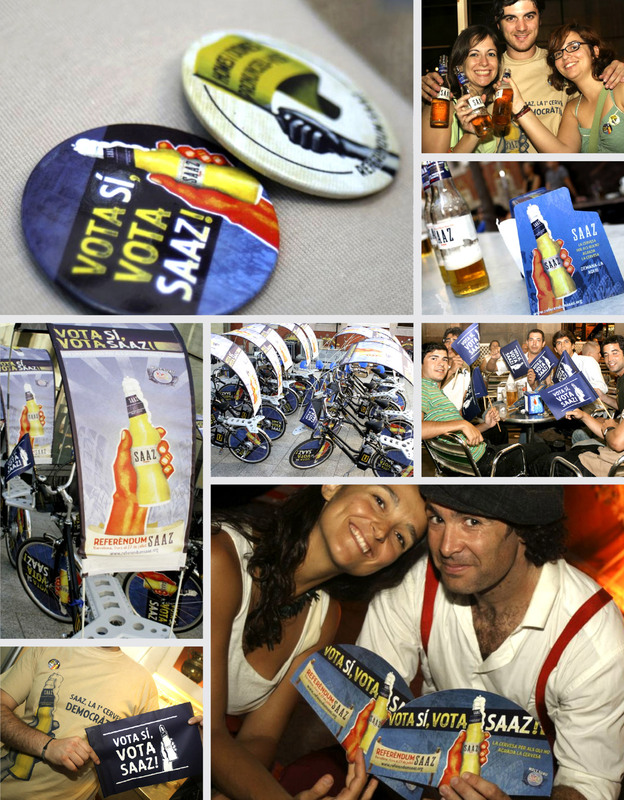 Karl performed daily chats in bars and the streets where he also distributed the election materials and incited consumers to vote for the YES. These acts were recorded and hung on a Youtube channel created for the occasion. 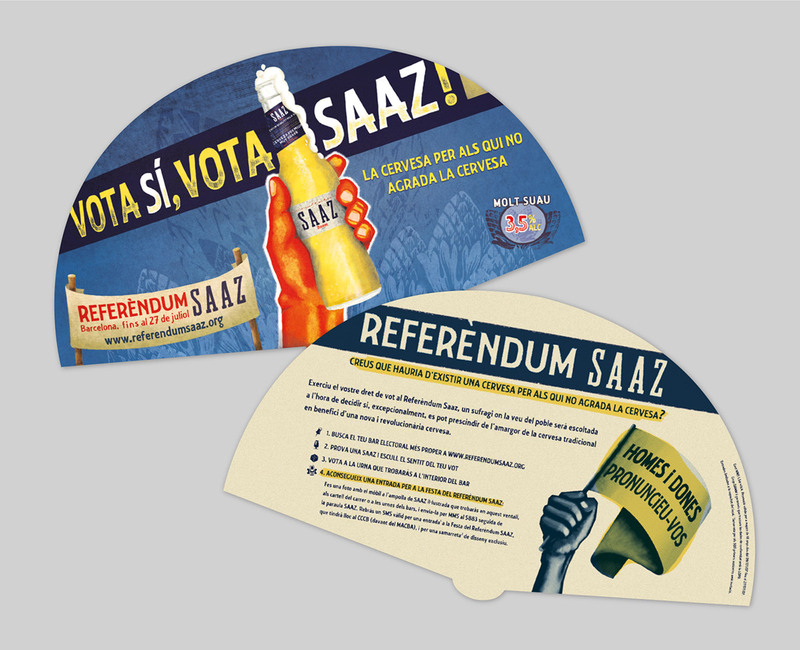 To support the electoral campaign, it was created a large electoral material for the YES: Plates, flags, balloons, t-shirts, bike walking around the city and fans (which in addition to reporting refreshed on a very hot July). 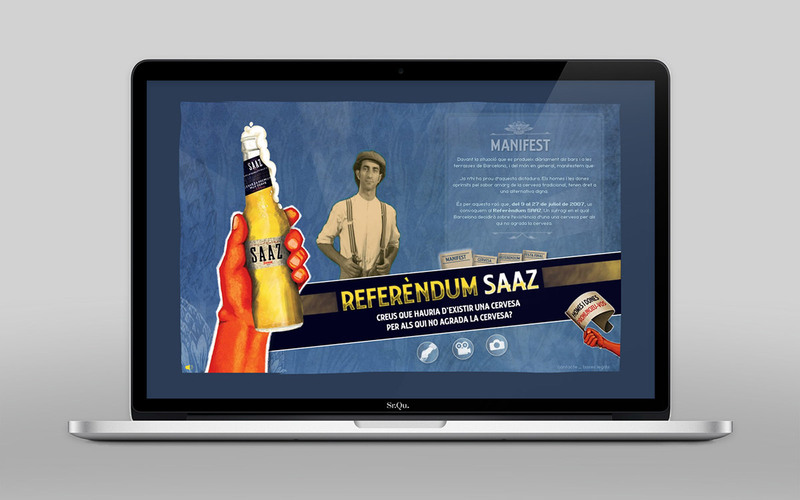 A microsite informing of the electoral process and also giving direct access to other platforms used to support (Referendum Channel on Youtube and Flickr image gallery with videos and images of the campaign respectively and the final event). 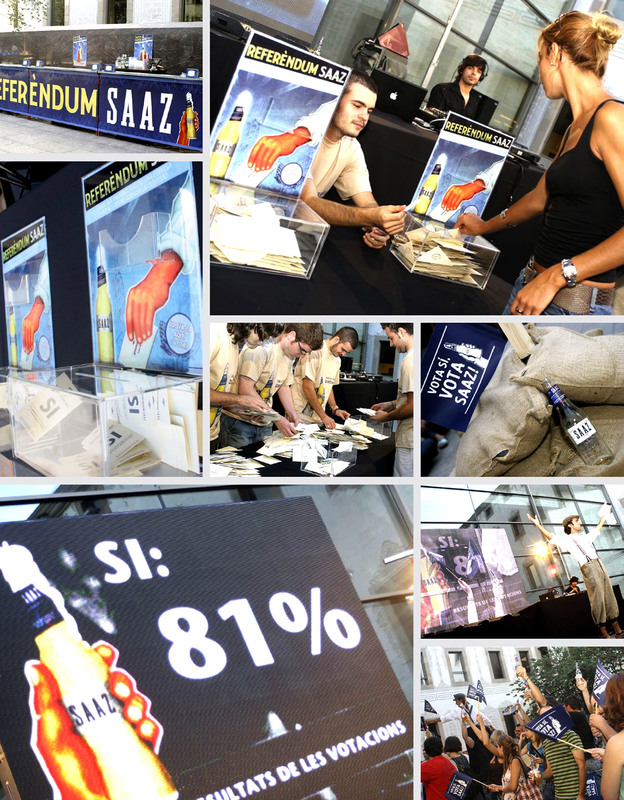 On July 27, 2007, at the CCCB (Centre of Contemporary Culture of Barcelona) the great feast was held to know the result of the public votation. How could it be otherwise, the YES won with 81% of votes in favor. 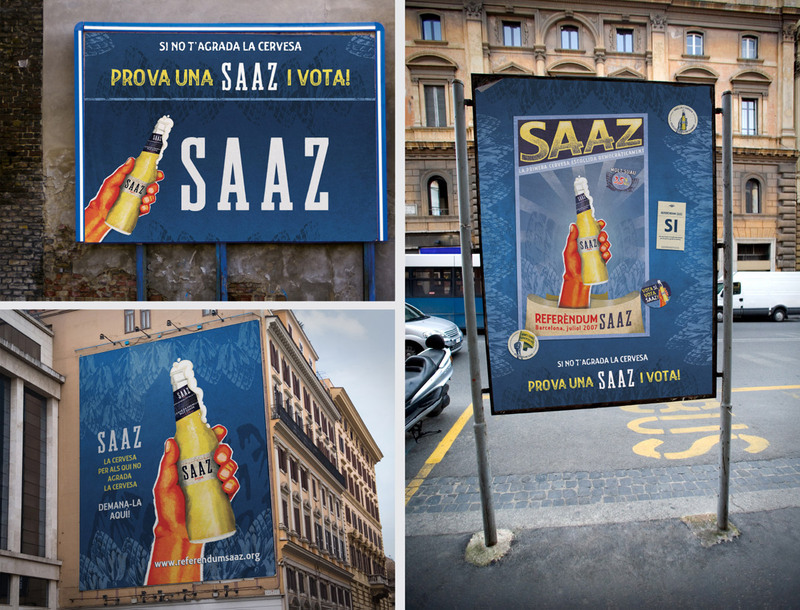 The final results were very favorable: 5,000 votes, with 81% in favor of the new Saaz beer. 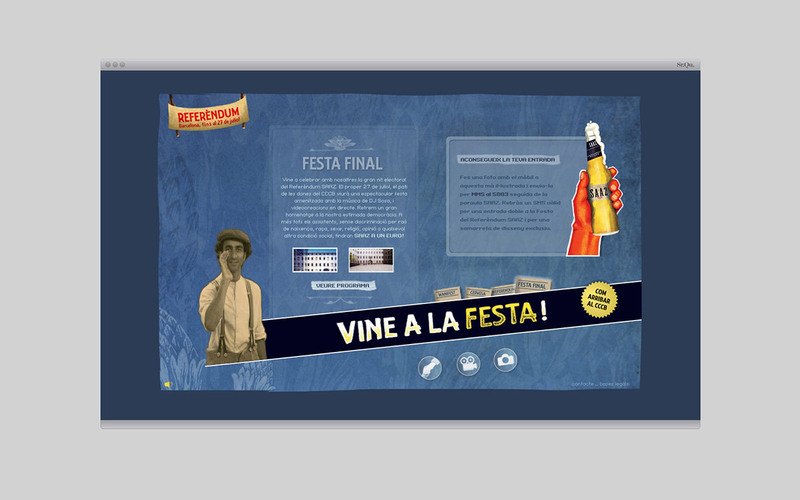 In addition, more than 3,000 users visited the site and about 1,000 people attended the end of season party.